It is easy to become overwhelmed by the dense Pennsylvania forests and seek out the space of a mountain vista. In our pursuit to wider views we can forget to appreciate where we are and miss the beauty inherent. 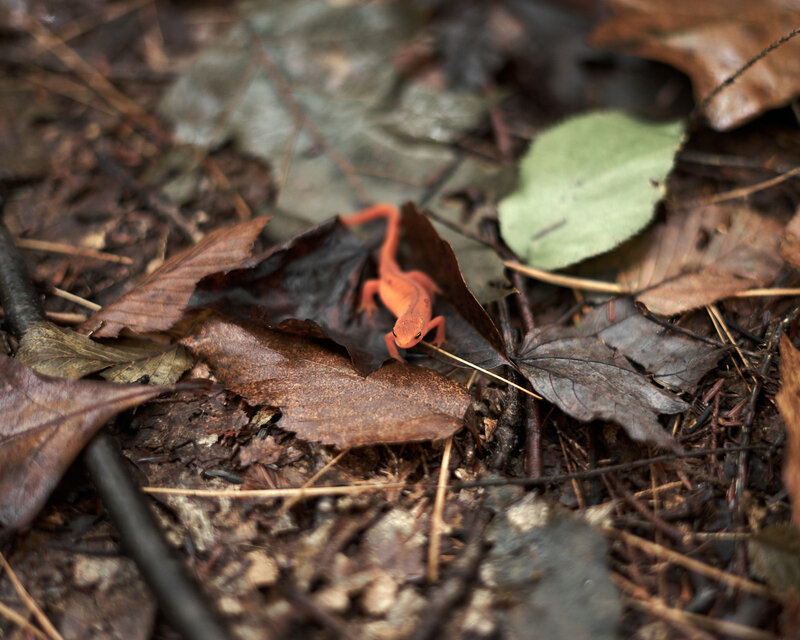 On one such occasion I was tripping through Bald Eagle State Forest and stumbled upon this eastern red-spotted newt. They are easily one of the most photogenic critters in the forest and a reminder to maintain a gentle awareness.